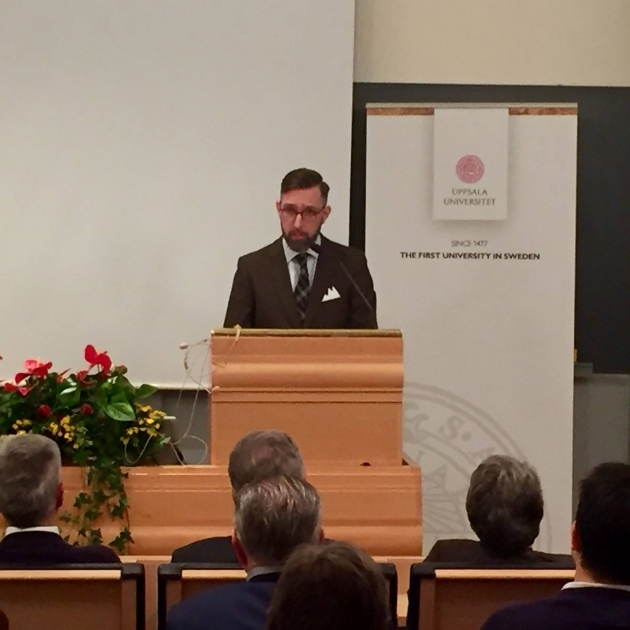 On Friday, at the University's regular annual Inauguration of Professors, the Faculty of Law honoured its two newcomers: Anna Jonsson Cornell, Professor of Comparative Constitutional Law, and Joel Samuelsson, Professor of Private Law with specialisation in general private law. 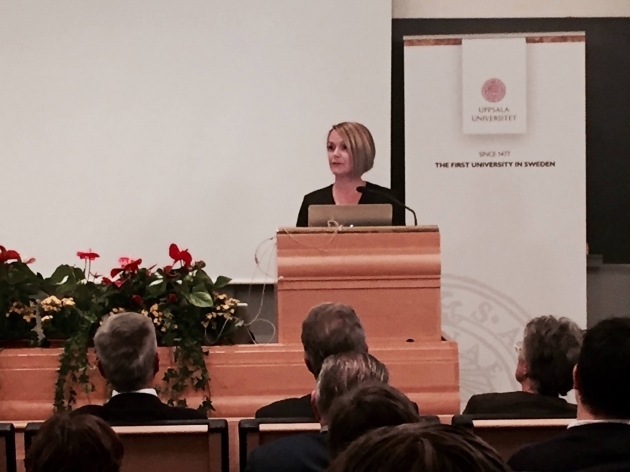 In November each year, Uppsala University holds the Inauguration of Professors ceremony. Newly appointed professors are installed with pomp and circumstance in their respective positions by the Vice-Chancellor, Professor Eva Åkesson. In conjunction with the Inauguration, all the new professors also present their research in short popular-science lectures during the week preceding the ceremony. 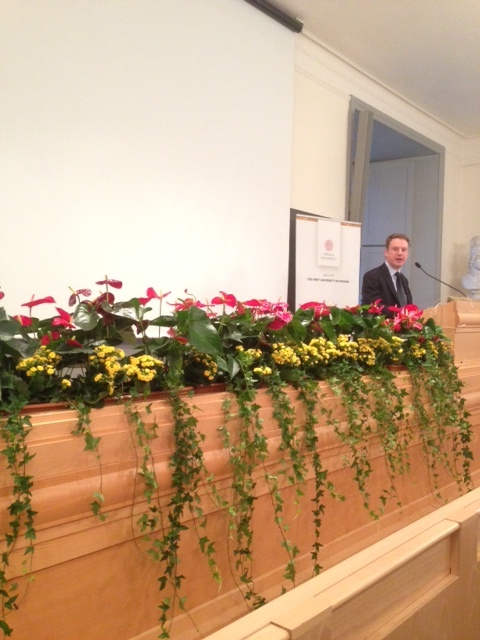 This year, some 40 new professors were installed in Uppsala Cathedral on 18 November. Two days before, on 16 November, Anna Jonsson Cornell and Joel Samuelsson had presented their research after a brief introduction by Professor Mattias Dahlberg, Dean of the Faculty of Law.